NEW YORK (WABC) -- If you've been looking to apply for the Transportation Security Administration's PreCheck program in the tri-state area, you may have an easier time doing so in July. In response to the increased demand for the TSA's airport security program over the last few months, the agency will be opening three temporary enrollment centers at Penn Station, and at hotels near JFK and Newark Airports. The Penn Station enrollment center will be open in the United Airlines ticket office from July 11th through July 29th. Another enrollment center will be open at the Hilton Hotel-JFK Airport from July 12th through July 16th. The third enrollment center will be open at the Newark Liberty International Airport Marriott Hotel from July 12th through July 16th. 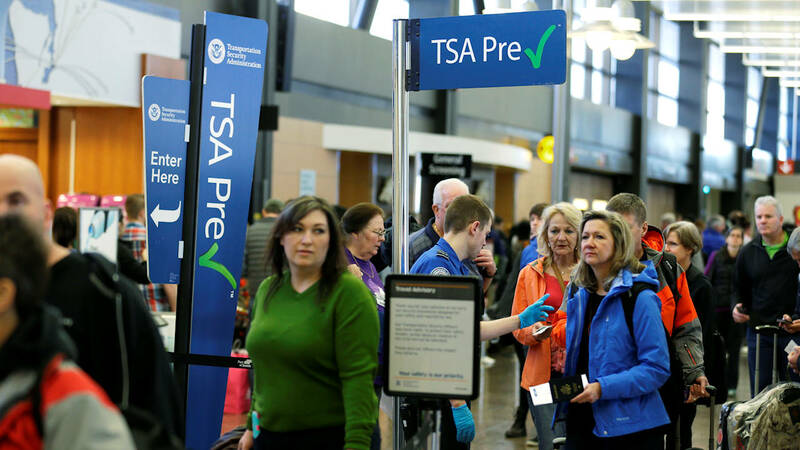 The PreCheck program was designed to get people through airport security checkpoints quicker by allowing them to keep on shoes, belts, and light jackets, along with allowing them to leave their laptops and liquid bags inside their carry-on luggage while going through the checkpoint. Travelers can sign up for the program by making an appointment at https://www.tsa.gov/tsa-precheck/apply. Proper documentation and a fingerprint background check is required at the in-person enrollment session. An application fee of $85 is also required and covers you in the program for five years.